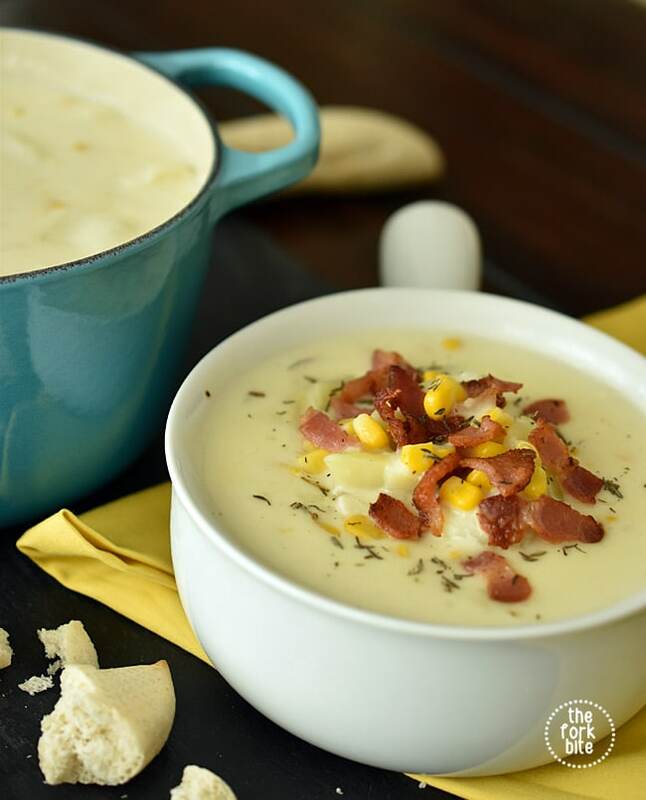 Easy Corn Chowder – Soups have always been a particular specialty of mine. 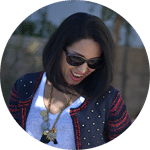 It’s a great way to get all the nutrients you need in a meal in one bowl, create several meals at once that are relatively inexpensive and use up leftovers. I’ve had my fair share of successes and even the failures, while they didn’t taste exactly as I hoped, still tasted good. When I buy ham for a special occasion, I buy it in bulk because it’s far cheaper that way and freeze the rest in small portions. 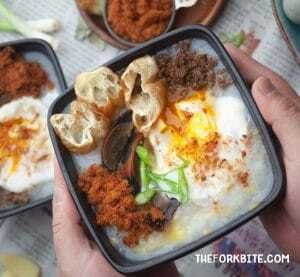 I slice some of it, cube some off and then pack it in meal-sized portions for the freezer. Sometimes I use the ham to make bean soup, sometimes on salads, but my favorite use for ham has always been as a substitute for bacon in potato soup. It tastes just like bacon when it’s sliced thin and cooked until crisp. 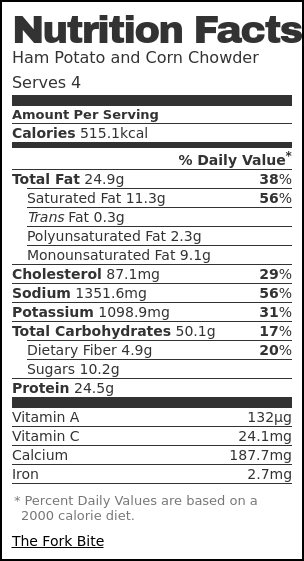 I like to think it’s healthier than bacon, but I’ve never read that it was. A lot of my soups are based on what I have to use before it’s no longer edible. That’s why there are sometimes some very unusual ingredients in them. For instance, many of my soups have leftover spring mix, kale or baby spinach in them if I have bits of leaves left in the bag or need to use it rather than losing it. I typically put kale in my potato soup or top plain potato soup with bits of bacon, green onion, and sour cream, but found that frozen corn and cooked to a crisp ham makes a delicious addition and uses up some of the ham I have leftover. 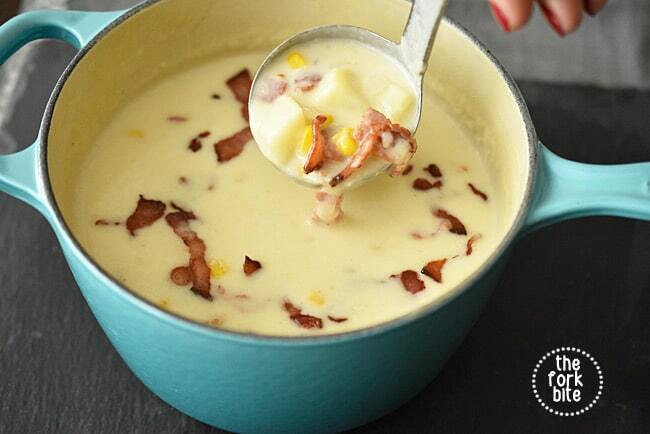 The corn adds extra sweetness to the potato soup, and the ham adds the delicious salty taste as bacon does. Soup isn’t good unless there’s a huge pot of it, but of course, that means plenty of leftovers. That’s good in this case. I always have bags of frozen soup ready to serve when I want a quick dish for supper. In most cases, I only need to add a salad, and I have a complete meal. This soup is so delicious you won’t have much left for later. You might even find your family wants it two days in a row! 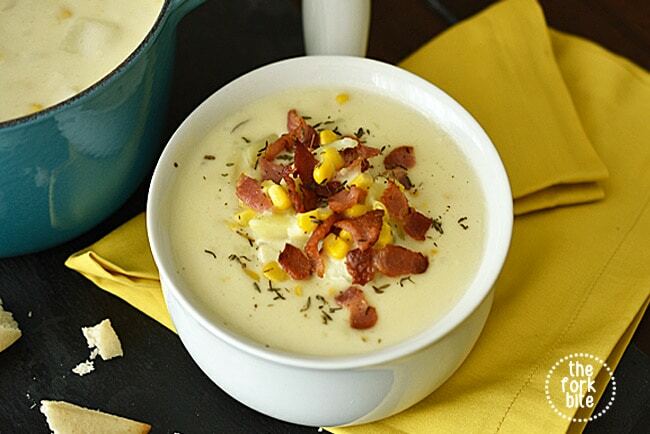 This ham potato and corn chowder soup is so delicious you won’t have much left for later. You might even find your family wants it two days in a row! Add the onion and garlic and sauté for 5 minutes until translucent. Do not let the onion brown. Add the flour and whisk until mixed through the butter. Pour 1 cup of milk in and whisk until it starts to thicken (around 1½ minutes), then pour the remaining cup of milk in. Whisk until it thickens - around 1 to 1½ minutes. Then add the chicken stock, and 1½ cups of water and whisk until combined. Increase heat to medium high and add the potatoes into the soup. Cook for 10 to 12 minutes , whisking fairly regularly to ensure the soup doesn't stick to the bottom of the saucepan. The soup will thicken as it cooks. Use the remaining ½ cup of water if the soup gets too thick before the potato has finished cooking. While the potato is cooking, heat olive oil in a small fry pan over high heat. Add the ham and sauté for 1 - 2 minutes until nicely browned. Remove fry pan from the heat and set aside. If the soup is too thick for your liking, use water (or milk) to get the soup to your desired consistency. Add the salt and 5 grinds of black pepper, then do a taste test and adjust the saltiness if required. Serve, garnished with remaining thyme leaves and ham. 1.) 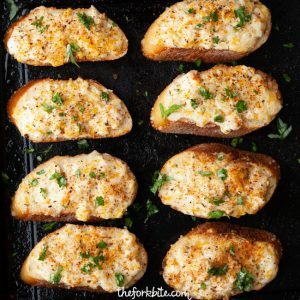 This is an easier way to "par boil" the potatoes to save time. Simply nuke the whole potatoes (with skin) in the microwave for 2 minutes then, turn over for another 2 minutes. Remove potatoes in the microwave then peel and dice. 2.) If you will use this method, you can skip adding more water as per recipe. Its because the cooking time for potatoes will be shorten instead (therefore, it's not necessary to add more water to dilute the soup out which normally thickens in the process while waiting for potatoes to get cooked). 3.) But you can add a little water to get your desired consistency. When reheating the soup, you can simply add milk or water to achieve the thick consistency. 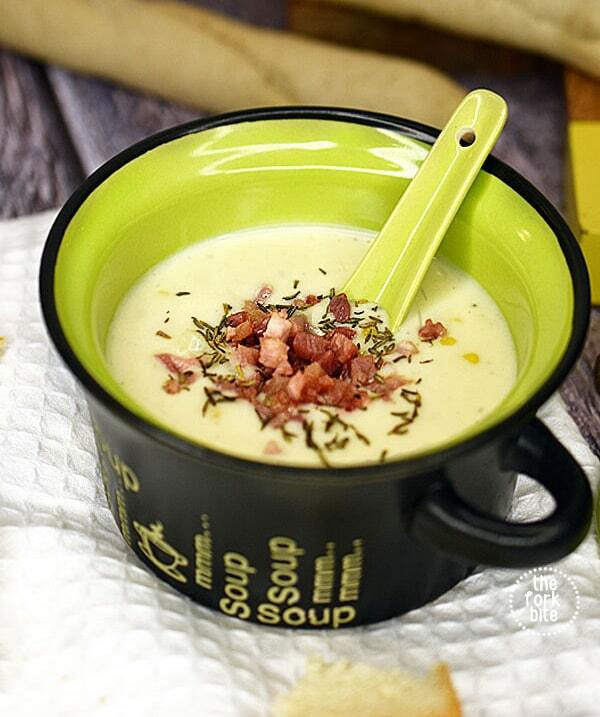 What a hearty soup, so comforting, I love to add ham or bacon in a soup, brings so much flavor! 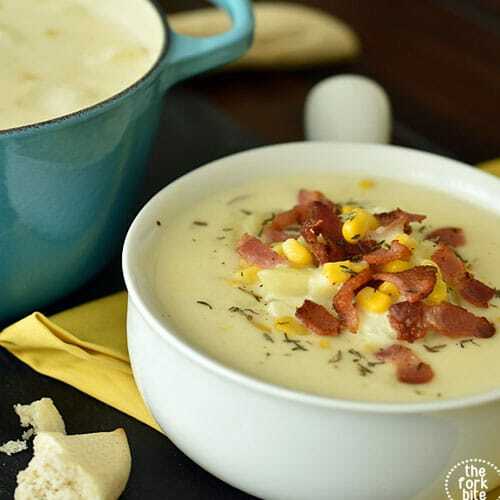 Corn chowder is such a delicious comforting dish – so hearty and perfect on cold winter days. 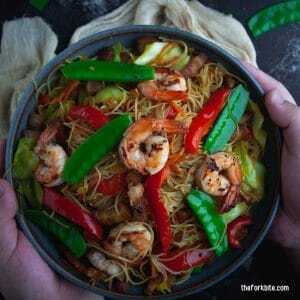 Saving this recipe for colder days – looks yummy! I am a huge fan of using leftover bits of ham in this and that. But, I have never thought to slice it thin and brown it in a skillet like this. Simply brilliant! 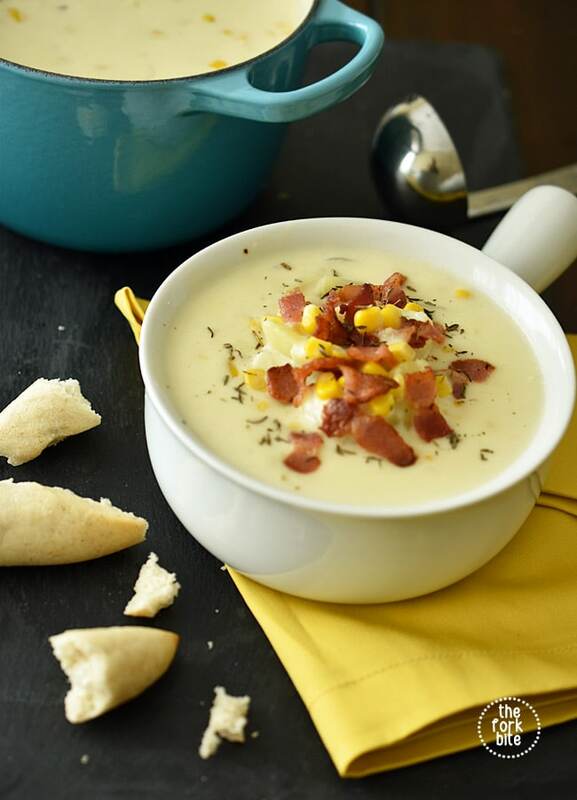 I love corn chowder, and the ham must bring the flavor to a new level! OH MAN!!!!!! This sounds like a hug in a mug! 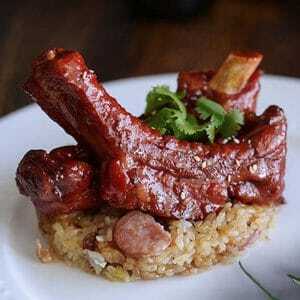 What a great way to use leftovers. 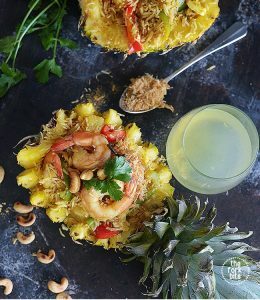 We are all about reducing our food waste, and this looks like a delicious way to do it.